The Farmington Hotel, Liberia, located close to Robertsfield Airport in the West African country, is set to debut in August 2017. The hotel, which comprises 164 rooms and suites, will be the first of its kind in Liberia and will appeal to business travellers and airline personnel for whom proximity to the airport is important. The Farmington’s investors, AJA Group, approached Campbell Gray Hotels to offer its international experience of management services and to assist in training schemes for its planned workforce. The Farmington will have two restaurants, Toscana, Southern Mediterranean style and Sokyo, an authentic Japanese Sushi and Yakitori experience. There are two bars, including one poolside. Meeting facilities are located in a dedicated convention centre with a capacity for up to 600 delegates, a boardroom for up to 25 and 2 further theatre-style meeting rooms that each cater for up to 50 guests. This will be the largest hotel meeting facility in Liberia. 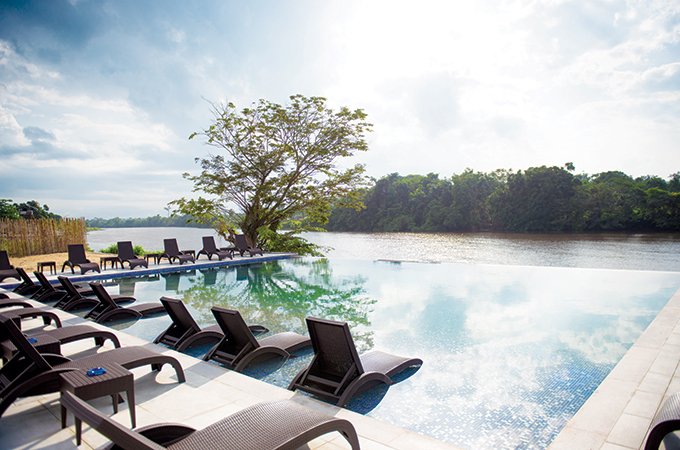 To enhance guests’ visits, leisure facilities include three outdoor swimming pools, gymnasium and spa, and for those wishing to explore, The Farmington’s riverside location allows for river cruises and boat trips.